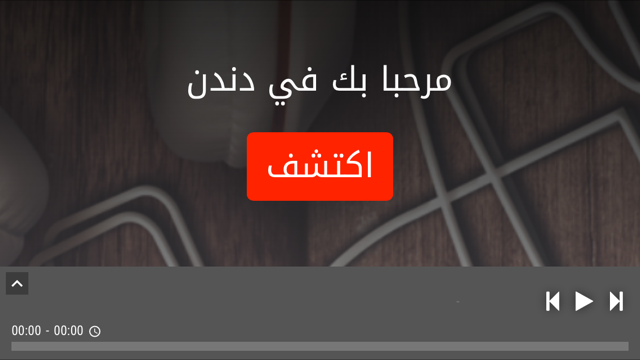 It is with the greatest of pleasure that we introduce to you the new look Dandin, which we have been developing for some time with the aim of making the website even more engaging and accessible. The changes run throughout the website but begin on the homepage, which has seen a complete overhaul. 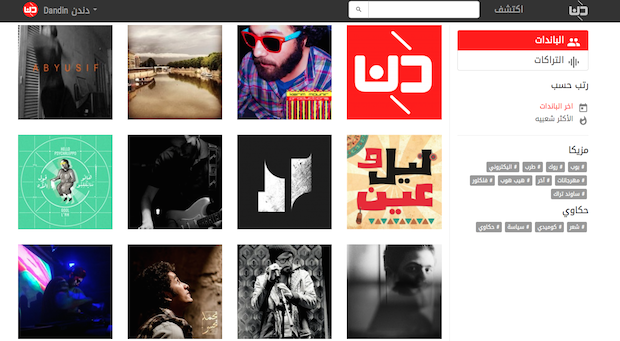 It now features a three-part slider section and will include videos from the artists on Dandin. Below that is another three-part “Dandin Recommends” section, where we put up albums, tracks and playlists we think you should check out and often we will feature your playlists on it too. The remainder of the homepage below that is given over to list-friendly fun, where you can find the latest releases, and most-listened-to artists amongst other things. All this will be on the landing page of Dandin.me but if you’re inclined to go deeper (and we strongly recommend that you do) click the Discover tab at the top right of the homepage to access and browse all the artists on Dandin. The default setting will be the latest additions but you can browse by genre and most-liked, and of course alternate between artist and track view. Of course if you know what you’re looking for the search tab is at the top of every page. The album, artist, track and playlist pages have all been redesigned (and now artists can post lyrics and other text), and there’s a new feature where when you’re on any of the internal pages there will be a sidebar of similar artists and tracks that you might also like. The player has also changed, no longer a bar across the bottom but a more versatile and expandable version at the bottom right. Click the arrow on the top left of the player to bring up your track list and other functions. 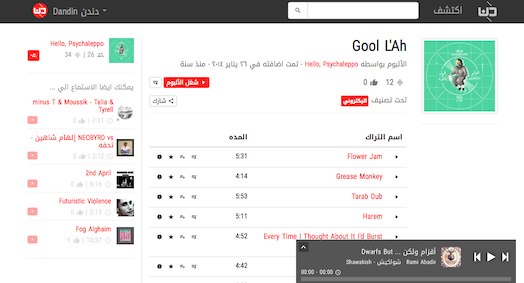 Don’t forget to sign up to access all the features available on Dandin like creating playlists and commenting. The redesign extends to the new mobile version, which you will find to me more responsive and snappier. So accessing music on on your phone will now be a lot easier. And that’s not all, we are developing a new share function for social media so that you can listen to the shared track from within the post itself on Facebook and Twitter. This feature will be available very soon. And we’re far from done, as we’ll be rolling out an English version of the website along with other new features in the near future. We hope you enjoy the new website and as always we appreciate your feedback on all matters large and small.